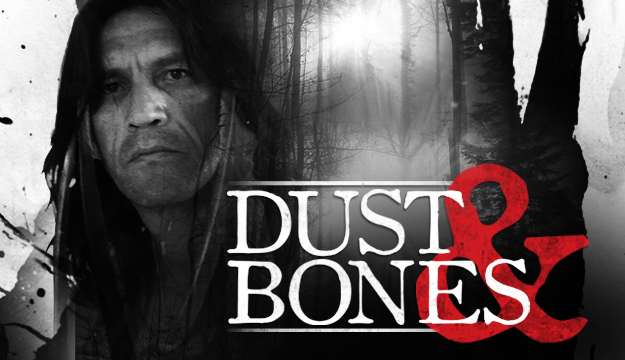 Dust n’ Bones brings to light the legal, political, historical and spiritual challenges faced by First Nations leaders and archaeologists as they fight to give disinterred ancestors their proper reverence. Framed around the pending transfer from the Royal BC Museum back to their indigenous community, Dust n’ Bones takes us through the discovery, preservation and rededication of human remains and artifacts, and with them, a reclamation of First Nations culture and history. The main thread of Dust n’ Bones is the day-to-day (and overnight) work of Harold Joe, a revered cultural worker, archaeological monitor and filmmaker who has been challenging appropriation by museums, universities and private collectors for over 40 years. Transferring the remains and artifacts held at museums such as RBCM to traditional territories for proper burials is one of many larger-scale ‘take back the bones’ initiatives of First Nations communities around the world.